On 25th April 2015 we launched our Appeal for the new bells. 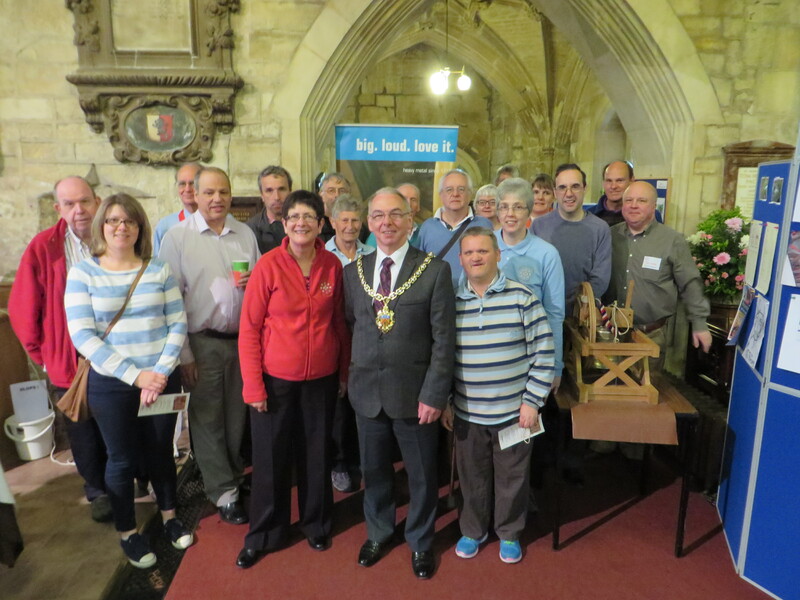 A quarter peal of Cheltenham Minster Bob Major was rung by Cheltenham ringers to get the proceedings started and let the people of Cheltenham know that something was happing in the church. In front of an audience of 65, the Rev Clare Dyson spoke, saying what an exciting project this is and then introduced our video that we have had made. 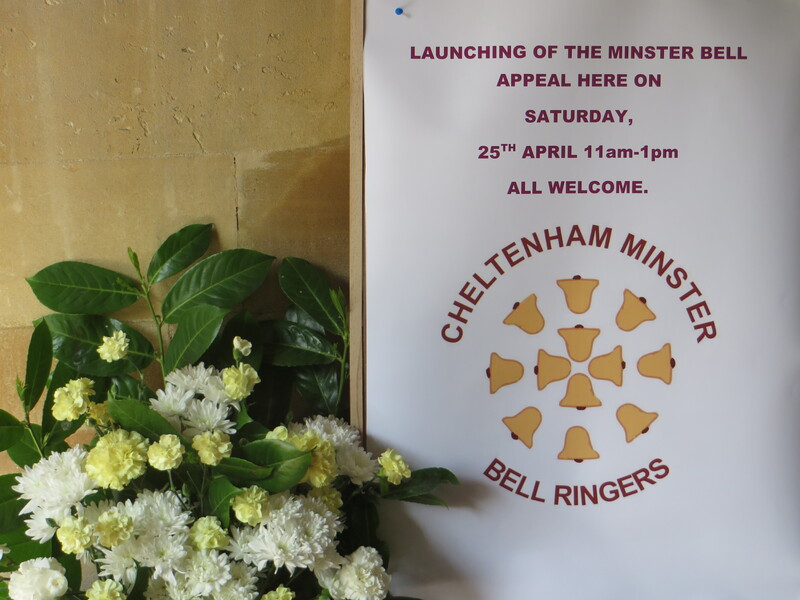 This video is intended to let the community and companies in Cheltenham know what we are going to do, as well as providing background on the church and the bells. 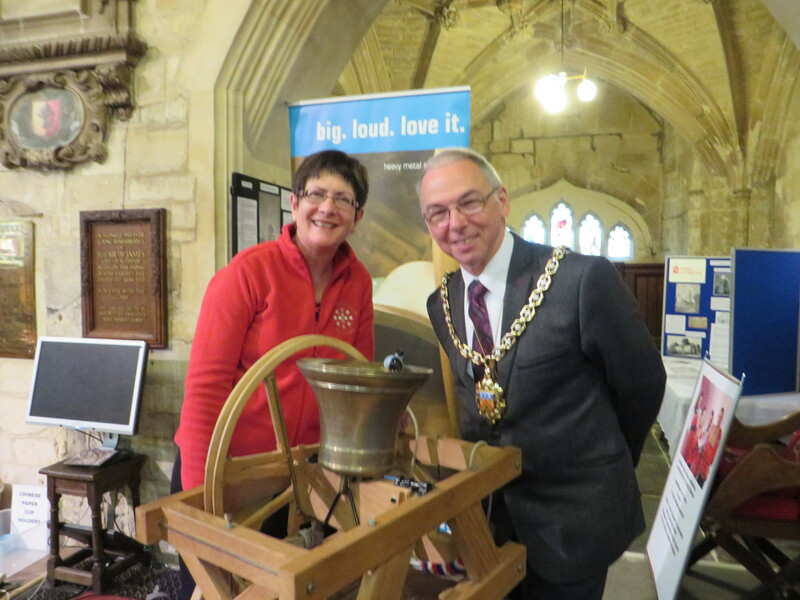 After this, the Mayor, Councillor Simon Wheeler, spoke about the beauty of the building and how good it was to have the bells ring to let everyone in the town know that the church is there. As his year as mayor draws to a close he was particularly pleased to be involved in such a major project. 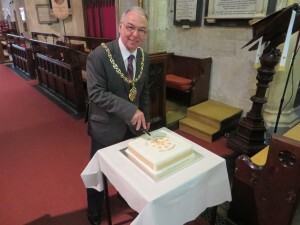 He then cut a beautiful cake that had been made by a member of the congregation. There was a display about the bells and the clock, a model bell to look at, leaflets were distributed and there was a collection bucket. People were very generous and we collected £200. 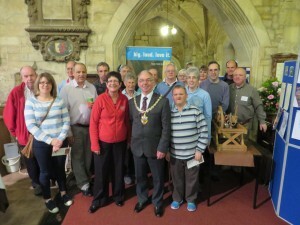 The Friends of the Minster provided the coffee and cakes and we are very grateful. 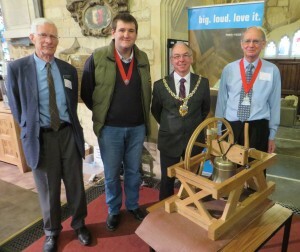 They are donating a bell and have organised a fundraising event, Oozies and Elephants, on 12th June at the Bacon Theatre.